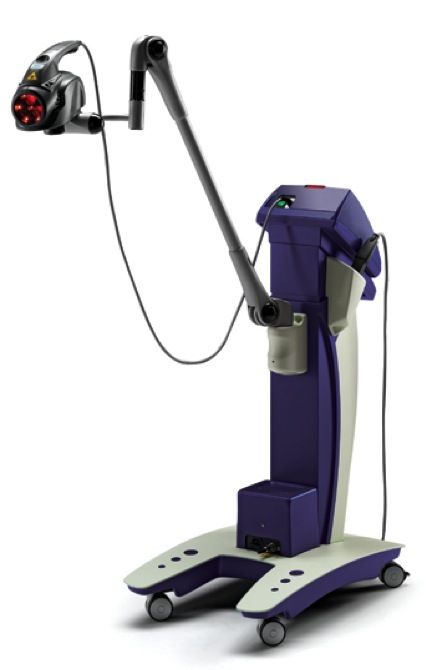 We most frequently employ the laser to treat soft tissue pathology that is resistant to other methods such as warts, cysts, soft tissue lesions and fungal nails. The laser beam simply evaporates the diseased tissue. We also use the laser for surgery. 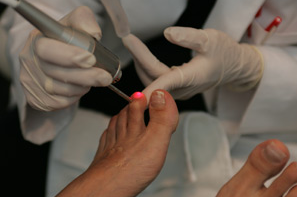 Laser beam surgery has been successfully used in the fields of ophthalmology, dermatology, and gynecology, and now is being used in the treatment of various foot problems which require removal of diseased or damaged tissues. Laser surgery takes advantage of the properties of lasers to remove tissue without many of the undesirable side effects that sometimes result from using a scalpel. The laser light vaporizes the affected tissue almost instantaneously and so precisely that normal surrounding tissue is not affected. The unique property of the laser is that as it vaporizes and destroys diseased tissue, it also sterilizes and stops bleeding in the surrounding area. As a result, there is much less tissue injury, swelling after surgery, which in turn results in reduced pain and discomfort. 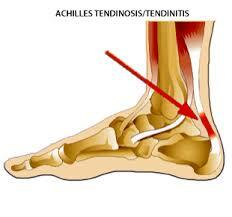 There is faster recovery, with better healing for the patient and chances of infection are decreased. In simple, non-technical terms, a laser beam of light is pinpointed on the troubled areas and in seconds–in some cases microseconds–the tissue is eliminated. The laser vaporizes the faulty cells … and at the same time sterilizes the adjacent tissue. Scarring is minimal because the laser’s precise control limits the damage to surrounding tissues. 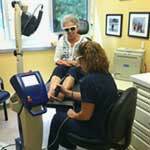 Because the heat from a laser beam does not spread out into adjacent tissues, there is less pain. This results in faster healing.